BUY 4 COLLECTIBLE BACK ISSUES, GET ONE FREE! RUE MORGUE #104 (Sep 2010) feat. THE WALKING DEAD and more! RUE MORGUE #68 (Jun 2007) feat. FIDO and more! RUE MORGUE #36 (Nov 2003) feat. 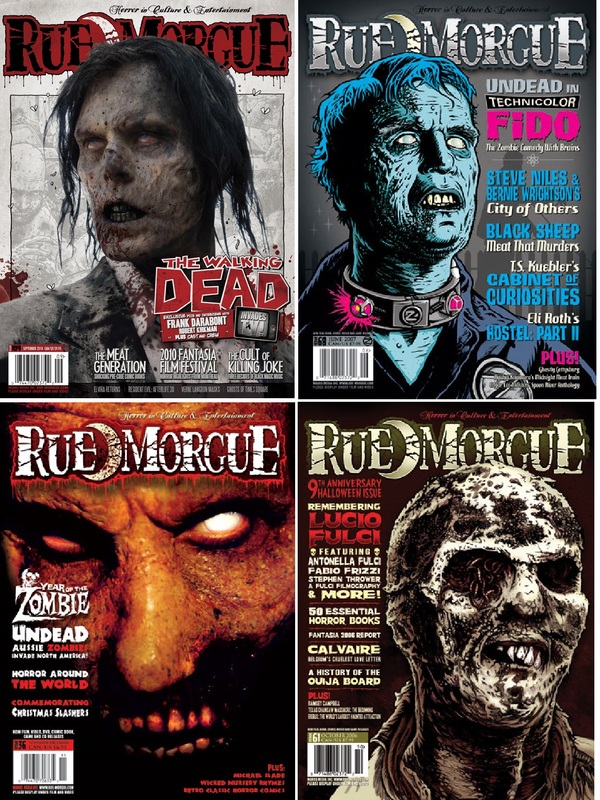 UNDEAD, the Year of the Zombie and more! Shipping is FREE anywhere in the US and Canada.